Transport management technology specialists Mandata has developed an easy-to-use smartphone app to improve the way drivers capture and record daily vehicle checks, contributing to more effective workshop maintenance planning and scheduling. It is a legal requirement to maintain a road worthy vehicle, and the Vehicle Checks app provides a paperless checklist, which helps transport operators to comply with the law by enabling drivers to carry out daily inspections before they set off. The app logs the start and finish times of vehicle walk-around-checks, recording inspections that have taken less than a specified length of time to complete and report any vehicles where daily or AM/PM inspections have been missed. The results of the inspection carried out, including photos of issues, are saved immediately on-line allowing the workshop maintenance team to see if there were any defects identified and plan maintenance time around the vehicle's working schedule, reducing VOR (vehicle off road) and saving the operator both time and loss of revenue. Featuring Mandata's advanced user interface, the responsive design of the app means that checks can be carried out on both Android and iPhone smartphone devices. The user-friendly application is easy-to-follow, and can be fully customised to meet individual operator needs if required. Complete visibility is maintained even when there is no internet connection because the inspection details are stored on the driver's mobile device. They can then be produced if requested by the police or authorities before being downloaded to a web repository once a connection has been re-established. 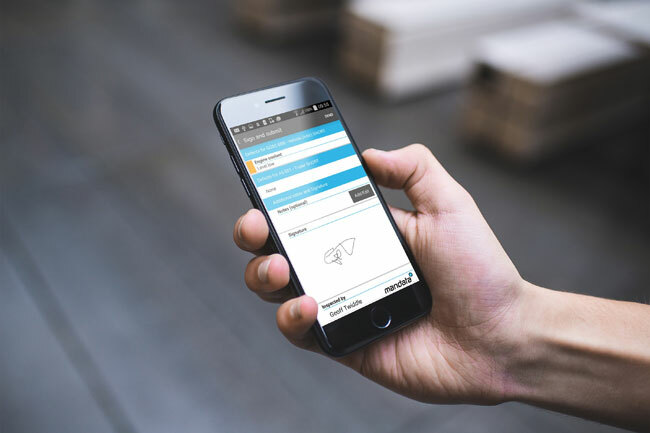 Designed using Mandata's new Questionnaire Module within web services, hauliers can edit and reconfigure any aspect of the Vehicle Checks App to create custom check list components, giving them the flexibility to gather specific data relevant to their fleet requirements.